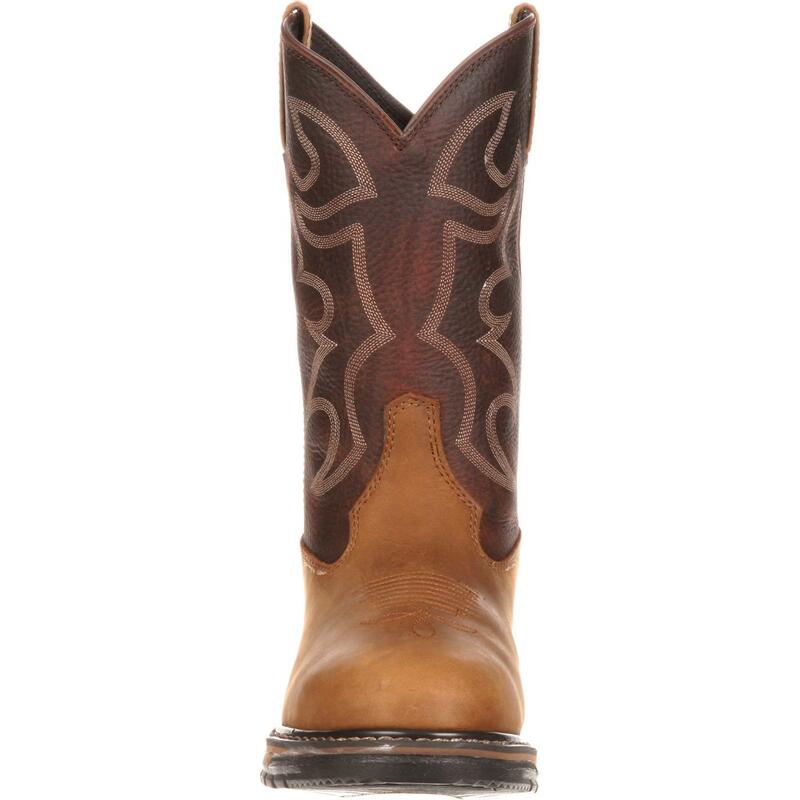 The two-toned color scheme creates a nice distinction between the shaft and foot on these Rocky Original Ride Western boots. While the look is visually appealing, having more neutral colors (even in the stitching) allows you to wear the footwear on a daily basis. 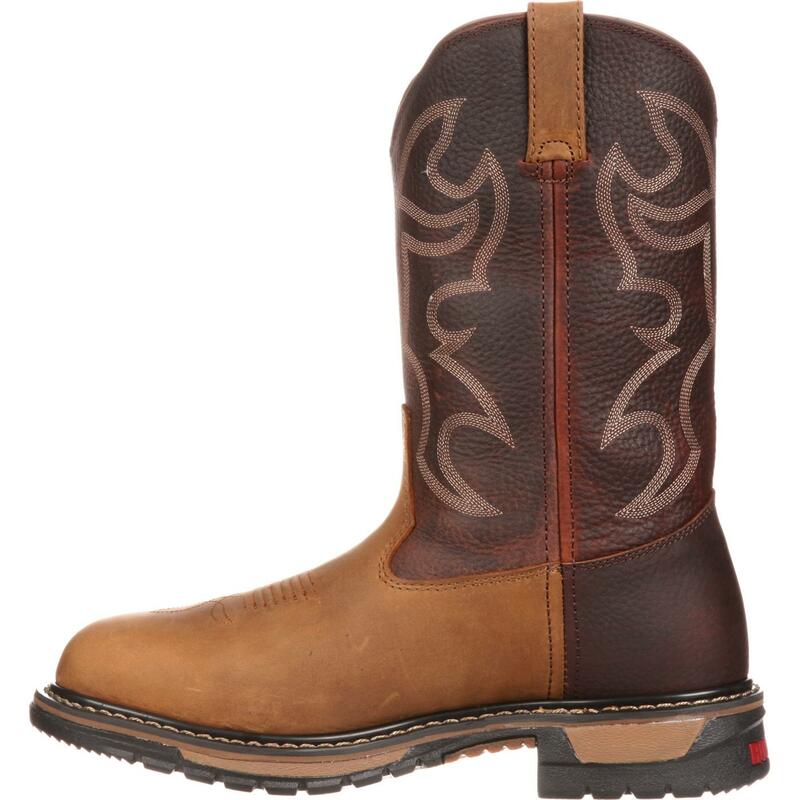 You'll appreciate that the all-around welt construction strengthens the durability of these round-toe boots and will be utterly pleased with how the hardy and smooth the full-grain leather is. 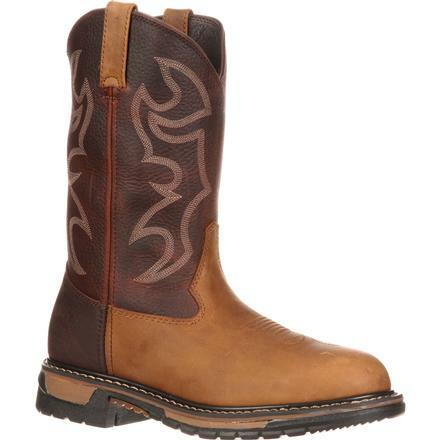 Pull straps allow you to pull these Western boots on with ease. 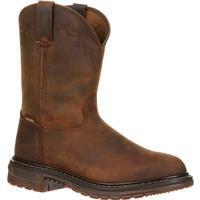 For supreme comfort underneath your feet, Rocky has positioned a Ride footbed down inside of these boots. 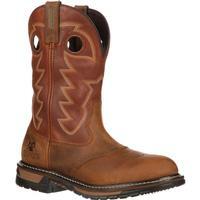 Its dual-density layers contribute tremendous cushioning that will eventually mold to the shape of your feet. 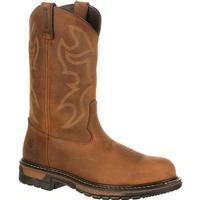 A heel stabilizer ensures that you receive outstanding stability and provides additional comfort. Underneath, a forefoot propulsion pad and rear foot landing pad have been built into the structure; having this will intensify the amount comfort and flexibility you receive from these leather boots. The midsole is made of wonderfully lightweight EVA; it absorbs shock so your feet don't feel the full impact and also helps to lessen the amount of weight that you press down throughout the day. 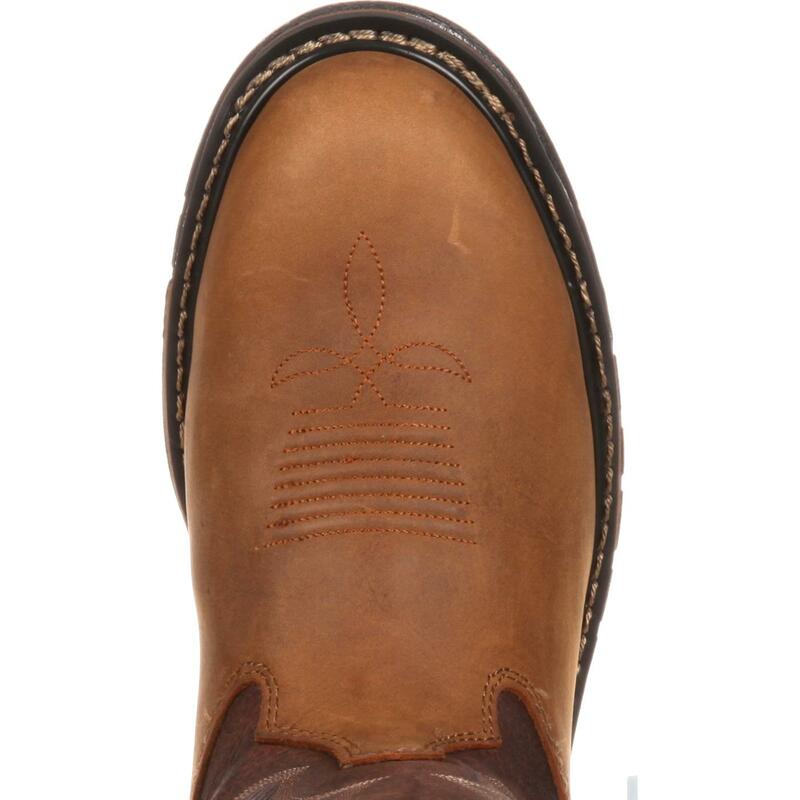 To ensure that your footing will remain steady and the arches of your feet receive outstanding support, a tempered steel shank has been constructed into the base of these men's boots. 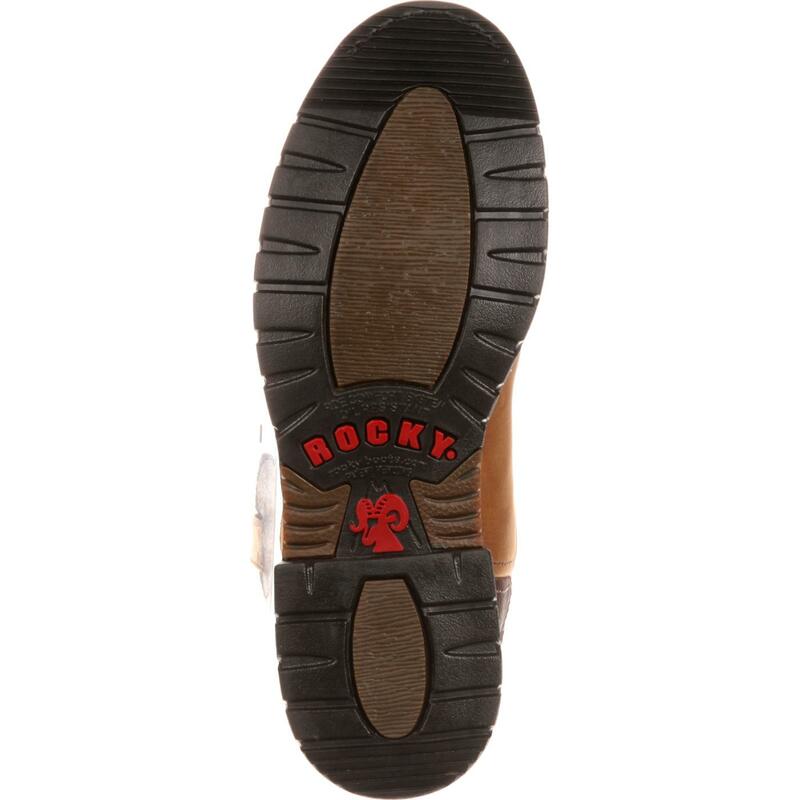 On the bottom, the hard-wearing Rocky Ride rubber outsole is flexible, comfortable to stand on, provides excellent traction and also topnotch oil resistance. 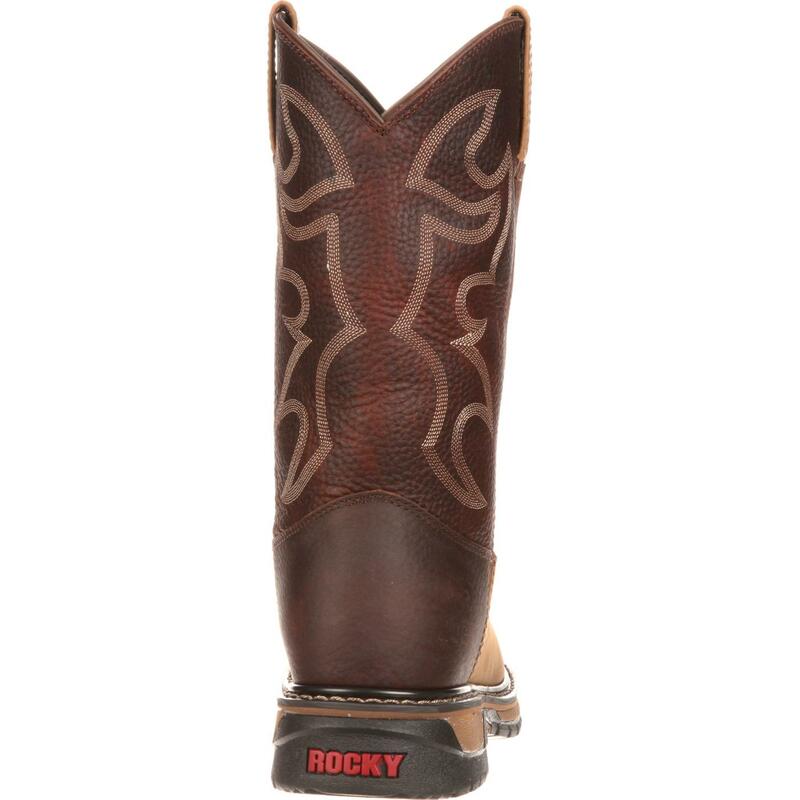 If you're the type of guy who expects his boots to fit comfortably and hold up well, these Rocky Original Ride Round-Toe Western Boots (#2732) may be the perfect footwear for you!